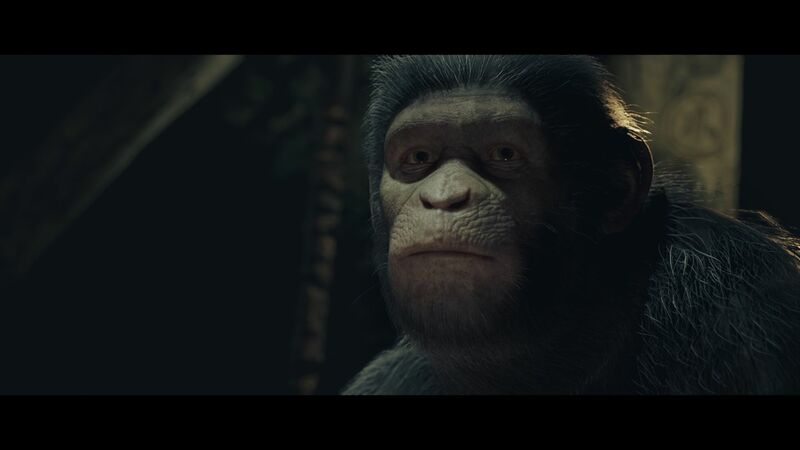 Capitalising on the success of the recent Planet of the Apes trilogy, Andy Serkis – the masterful motion capture actor – and The Imaginati Studios ventured into the world of gaming in 2017 with the cinematic adventure game, Planet of the Apes: Last Frontier. Now it’s arrived on Xbox One, can we expect an enthralling story-driven experience that could rival the likes of Telltale, or should the apes have stayed on the big screen? Before delving into the narrative of Planet of the Apes: Last Frontier, it’s worth pointing out that although there’s a game here, you’ll be doing very little throughout the entirety of it; even less so than in others of this ilk. As the player, choices must be made on behalf of the two main characters and these consist of directing the analog stick towards one of two options. The only other type of input comes in the form of pressing a button to perform an action, like the most basic of Quick Time Events, but these moments rarely occur and are completely optional. So don’t expect to be tasked with doing anything too exciting, however the sheer simplicity allows you to focus more on what’s happening. Set in the same universe as the films and placed on the timeline somewhere between ‘Dawn of Planet of the Apes’ and ‘War for Planet of the Apes’, we’re introduced to two distinct groups of characters in the Rocky Mountains. There’s a tribe of apes, led by chimpanzee Khan, and our influence is on one of his three sons, Bryn. A shortage of food causes concern for the tribe and they must figure out where their next meal comes from. Meanwhile, Jess Ross – a human – is the other character we’ll have an invested interest in as she comes to terms with the new-found leadership role, in charge of a town, placed upon her after the death of her husband. The humans are also worried about a lack of resources, much like the apes, for winter is coming! And we all know that means the White Walkers are readying their destructive journey southwards… oh, sorry, that’s a different story altogether. The approach of winter in Planet of the Apes: Last Frontier just means that both camps, humans and apes, are getting desperate to feed their kind and a foolish move from Bryn’s aggressive brother Tola to solve the problem actually instigates a conflict between these two struggling groups. But can it end in peace? Or will there be only one group left standing? You’re the one who’ll decide that ultimately as you interfere with matters on both sides of the conflict across six chapters. 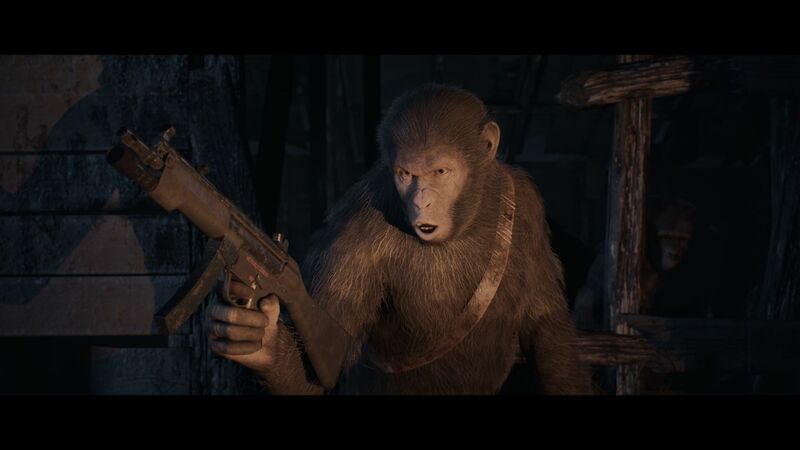 Does Bryn have Tola’s back, or will he heed the advice of wise orangutan Clarence to avoid any more bloodshed? Can Jess take charge, gain the support of the other potential leaders in the group to fix the mess, all whilst keeping two troubling drifters in check? That’s in your hands, to a certain extent. You see, most of the decisions you make are largely ignored by the other characters and things will play out how they must in a lot of instances. And that’s something that’s not as noticeable until after the initial playthrough, when alternative decisions make very little difference. Sure, there are different endings to achieve, but to do so you’ll have to plod on through a story that barely changes; a story that never truly grips the player. Most of it explores the politics within the tribes, which is interesting as the dynamics change, but also quite confusing when characters flip-flop on their stances all too swiftly. There are a good few action scenes though and it’s never tiring to see a gorilla being brutish or a gun-wielding chimpanzee. But these are affected the most by the constant technical flaws from start to finish. 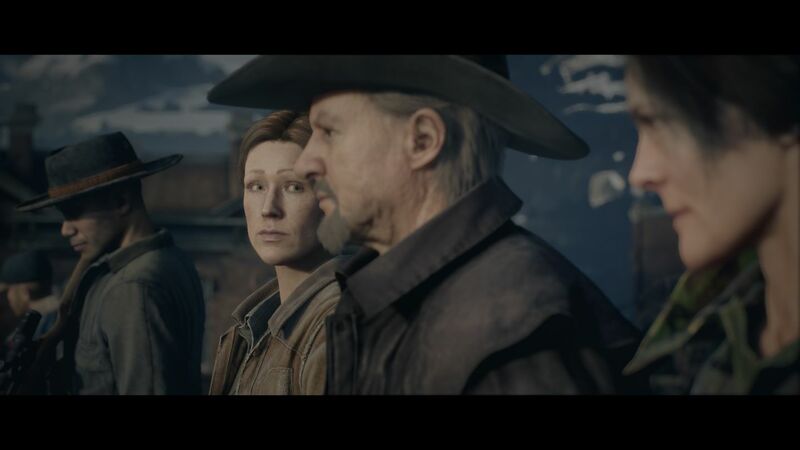 For all the awesome detail on the character models, especially up close and personal, it’s severely let down by sloppy editing, slowdown during anything exciting and just damn awful transitioning between scenes. There’s nothing smooth about the experience in the slightest, and that’s with it running on an Xbox One X. Even sound effects are out of sync occasionally, or missing entirely in some instances, all of which ruins the atmosphere and immersion into what should be a cinematic treat that has you wholly invested. Whilst on the subject of sound, the voiceovers don’t suffer much, fortunately, with both apes (who mix it up between sign language and talking) and humans coming across well. It’s not the most exciting script, but the actors can only deliver what’s in front of them and in that sense, the standard is acceptable. Planet of the Apes: Last Frontier comes up short in almost every area, except in the motion capture side of proceedings and the great looking characters. It fails to draw you in to its 2-3 hour length, whether that’s due to the lacklustre ‘gameplay’, the drab story, having very little influence on how it plays out, or simply because of the issues plaguing the technical side of the game. It’s so disappointing that I couldn’t possibly recommend paying full price for Planet of the Apes: Last Frontier. Go watch the films instead, they’re much better.